Heat the butter in a 10-inch skillet over medium heat. Add the celery and onion and cook until tender, stirring occasionally. Add the broth and heat to a boil. Remove the skillet from the heat. 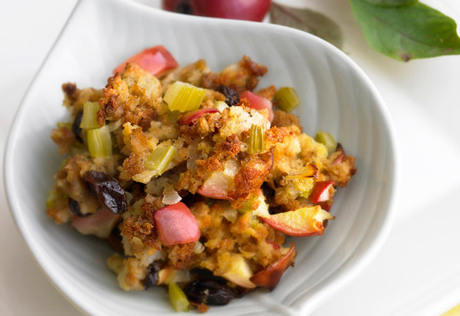 Add the stuffing, apples, raisins and cinnamon and mix lightly. Spoon the stuffing mixture into a 1 1/2-quart casserole. Bake at 350°F. for 25 minutes or until the stuffing is hot.